This posts takes me back in time, about 26 years. Grade 3 Projects. This time three generations were involved, DGS (grade 3), Daddy (DS) and Grandma. Poster paint, construction paper, newspaper, balloon, carpenters glue, glue stick, scissors, Mod Podge, paint brush, string, masking tape, duct tape, cardboard box, all supplies were on hand. 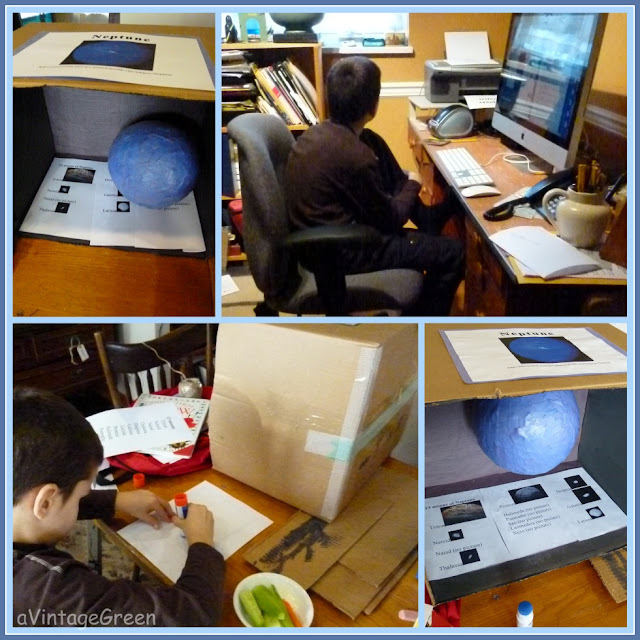 Project - Pick your favourite planet and make a project. Share it on Friday. 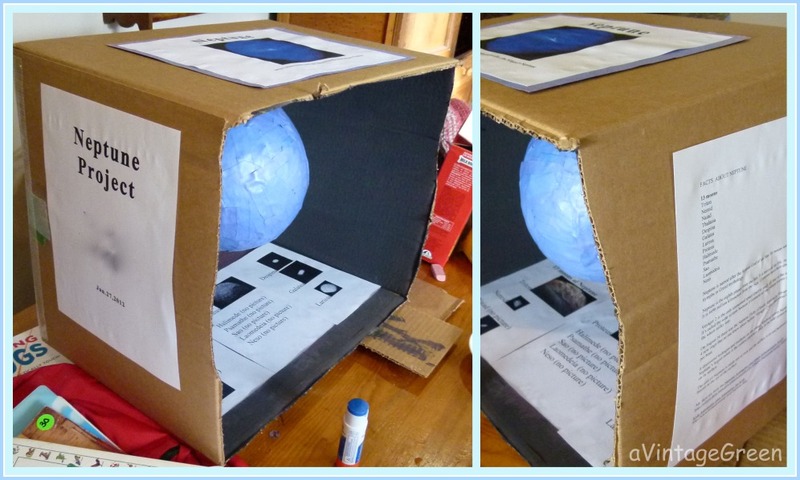 Daddy (DS) taped the box together, cut off the flaps, painted a lot of black poster paint and glued in the black construction paper. Lots of DGS working with Daddy with paint and glue. 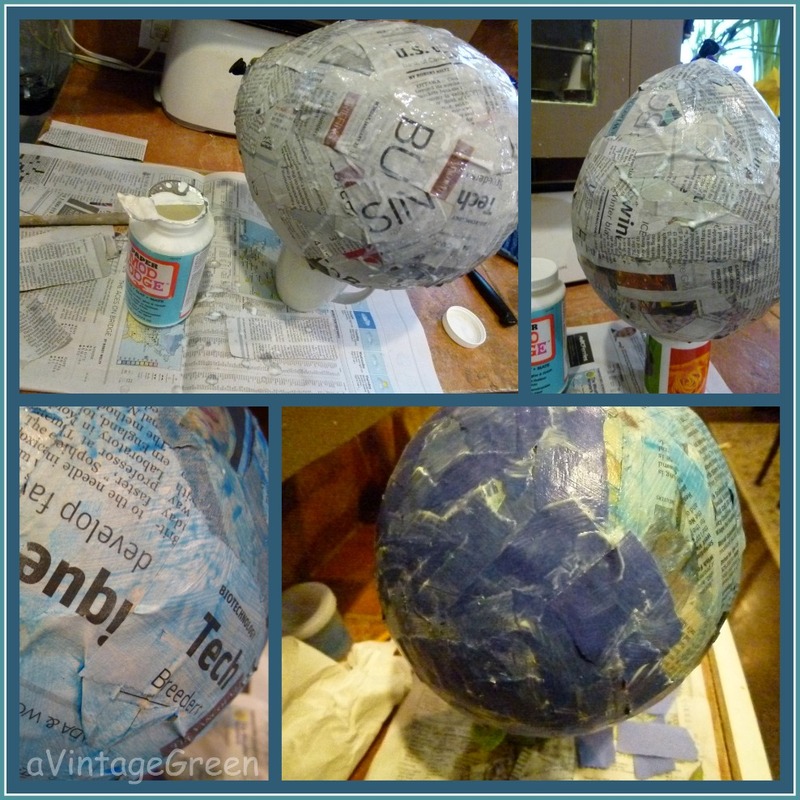 Grandma got to put most of the newspaper strips on the balloon, used diluted carpenters glue. Lots of drying time between layers. Tried to paint the planet with poster paint. DGS and Grandma learned the paint didn't cover the newspaper. Changed to Mod Podge and strips of blue construction paper. Sticky. Paper, glue and drying time took three days. Nice shine when finished. DGS worked on the computer (I was the backup help), finding Neptune information and pictures he wanted to include. His school has done a good job teaching the students to think up and type in search words when looking for information and I can see that the early keyboarding lessons at school have familiarized keyboard layout and speeded up his writing. DGS used Word, made several new files, copied and pasted, saved frequently, rewrote in his own words and deleted the copied work, edited for size, spelling and formatting. Printed. We discussed plagiarism and why it wasn't allowed in projects and school and why we had to say where the information came from (he pasted in the web page urls). Putting the display together was a Grandma/DGS job. He glued and stuck. 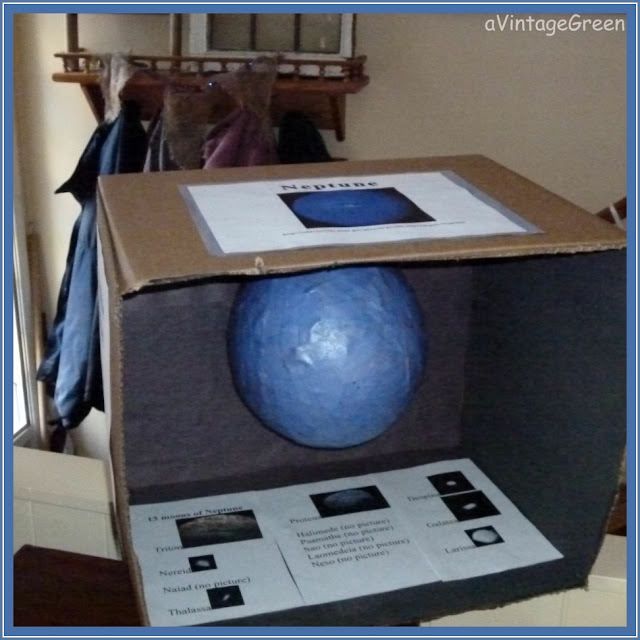 I tied the planet to the box (cut a small hole in the top mid back, tied string around the balloon neck and pulled the string through the hole, tied a double bow knot. Neptune project waiting by the front door for going to school on Friday. DGS read over his written work to make sure he had included everything he wanted to say. He enjoys public speaking and loved his topic. What a great learning experience also family working together well worth the effort. I am sure he learned so much from this exercise! I love the energy of these young minds!! And the older ones who help them put it all together! 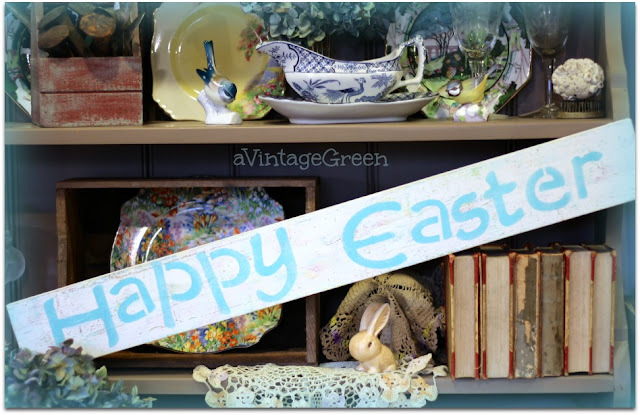 wow, thats really clever.i remember doing papier mache in junior school and we had a ball! What a great, fun, MESSY, learning experience. I love 'hands on" learning!! That was funny...it took 3 of you! But I'm glad you didn't do it for him. You just taught him techniques and exposed him to the logistics of "project planning"! He's a cutie and sounds very smart and tech savvy. What a nice project he/you did! LOL! I loved your "Whew" at the end. What a nice Grandma you are! wow great job he did Joy! He will be very happy tomorrow! Thats amazing he likes public speaking! So funny you should mention VAM site...I was on there this week and thought I should email you cuz there are a lot of great pics I thought I could steal! Thanks for dropping by Joy...I will change that in the morning...I am going to bed!